I can clearly remember sitting at a desk in graduate school crunching financial numbers. As the professor rattled on about data management I pulled out a lined piece of paper and began to scribble down various amounts. How much was my car payment that month? How much did I owe for rent and utilities? How much did I spend on groceries and dining out? My grandmother taught me to pay off my credit card every month and despite making only $32,000 a year while living in Washington, DC I was determined to close out that account every month without owing a penny of late fees or interest. So there I sat writing down numbers and trying to figure out if I could make the math work. Alongside the totals I wrote down various dates. When was my credit card bill due? What was the latest I could hand over my rent check? And perhaps, most importantly, when would my direct deposit show up in my bank account? My good friend Henry looked over at the paper in front of me, but he never said a word about it. He didn’t ask what I was doing or why I wasn’t paying attention to the professor. Maybe he pieced it all together, maybe he didn’t care. I have no idea, but I remember furiously scribbling down those numbers and worrying that my income might not cover my expenses that month. I remember wondering if Henry ever had the same thought or anyone else that sat in class alongside me. 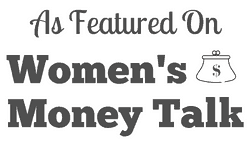 Back then money was taboo, (I suppose it still is), and personal finance blogs didn’t exist. Twenty-two years later I can tell you that I’ve never missed a rent or mortgage payment and I’ve never paid my credit card bill late. In fact, due to a frugal mindset, six years of college education, quality health insurance and ultimately a high paying job I’ve always managed to pay that credit card bill in full. I don’t say this to brag, but just to tell my story. The only story I know. I recognize my blessings and I am forever grateful for them. I am so glad my grandmother instilled the importance of money management and that I was healthy and capable enough to listen and follow her example. I am, in fact, beyond grateful. I review our finances often. I log in to my bank account at least once a day. I check to see if the market is up or down and watch the wild swings that come with a large portfolio. I do all of this despite the fact that I never change our investments or make any major changes to the way we handle our money. I suppose it simply feels good to see the amount in black and white in front of me. These days I no longer need to furiously scribble my income and expenses on to a piece of paper, but not much else has changed since my husband and I reached financial independence. In fact, we go about our day to day lives just like we did before reaching that monetary threshold. My husband still works an ordinary job and when my boys get another year or two older I will return to the workforce. One thing that has changed: we no longer look for our next paycheck. That’s crazy isn’t it? When you reach financial independence you can stop worrying about dates and reworking numbers to ensure your income covers your expenses. That money still arrives in our bank account every two weeks, but we no longer need that paycheck to pay our bills. Does it sound like a dream to stop worrying about your income and expenses? It hasn’t been a sprint to the finish line, but the ability to completely disregard the timeliness of a paycheck still feels like a miracle to me. Definitely a dream! I’m not there yet. 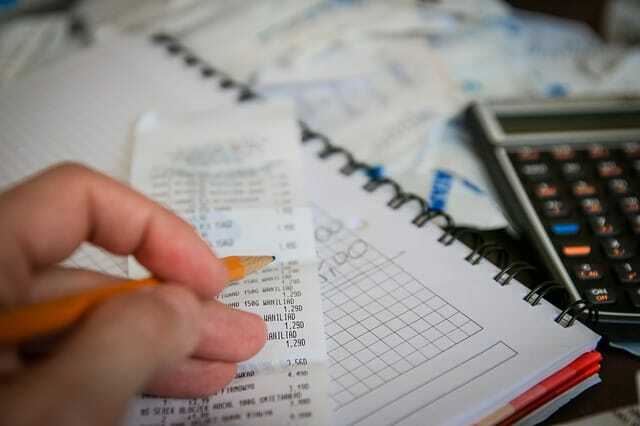 Though I know we CAN cover our expenses month to month if we missed a paycheck, I am very focused on decreasing our expenses so that we’re able to cash flow and I spend a fair bit of time checking to make sure that we’re within that cash flow limit from month to month. Some months we go over, and I make sure that the overage from previous months is sufficient to cover. It’s going to take some fine tuning to get us to the right place. Our path to Financial Independence took the same road. I was constantly making sure we had enough income to cover our expenses and gradually broadened that to include longer spans of time between paychecks. One day, at some glorious point in time, I stopped needing to run the numbers. Keep at it and you’ll get there. It takes small sums of money over a long period of time. It is nice to forget when a paycheck is coming. I realized I was doing alright when I began ordering what I wanted to eat at a restaurant versus what I wanted via price limit. Also, walking out of a grocery store having signed for the bill without noticing the amount. I still check prices at the grocery store for I will always be frugal but I purchase what I want unless it is crazy expensive due to out of season. It is a good feeling. Oh yes. That is a perfect example of making financial progress. For many years I chose the cheapest item on the menu. At some point you get to eat what you want, because you can afford all of the options. We don’t eat out often, but when we do I never choose based on price anymore. Thanks for the comment!